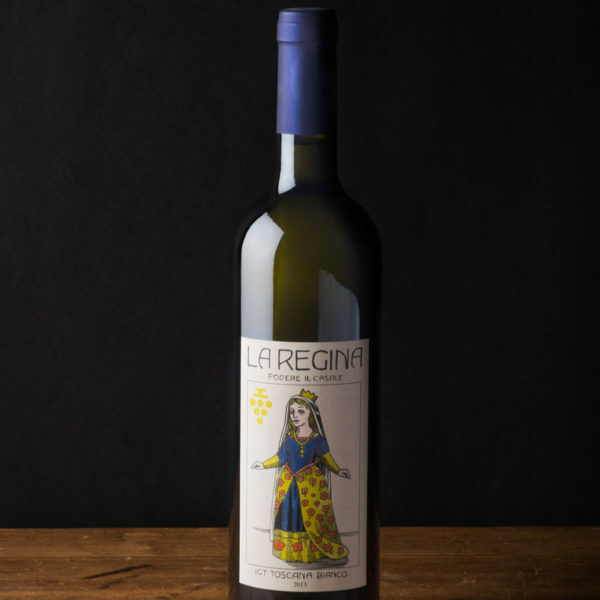 La Regina organic white wine - Podere il Casale, Tuscany. Organic Garden Restaurant, services, products. 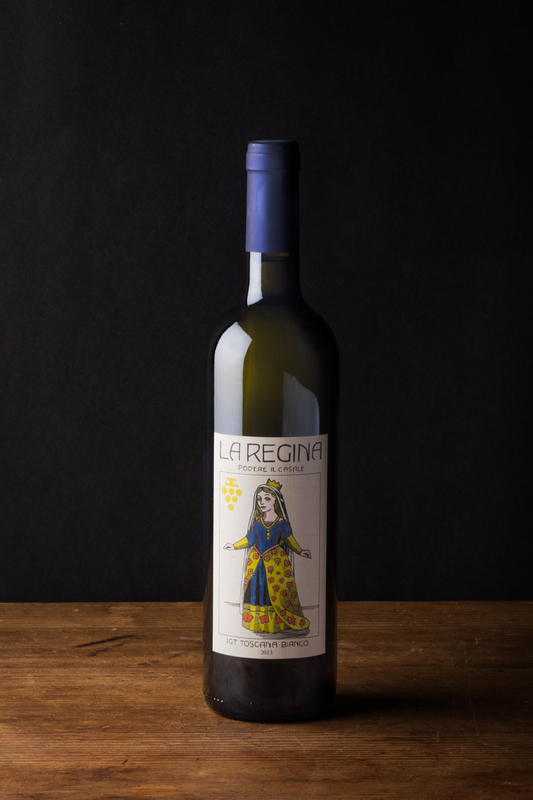 Our Regina white wine (the queen) is very special and exotic here in this area, where mostly vermentino grapes are cultivated. This elegant wine is instead made of 100% Manzoni bianco grapes (a cross between Riesling and Pinot Bianco). In our opinion this wine is one of the most remarkable and especially bodied white wines here in Tuscany. Thanks to its complexity it can be kept for several years. Pale yellow with hints of gold, full of citric notes, white flowers and very fresh on the palate Colore giallo oro, note di agrumi e vegetali, fresco e corposo in bocca.